During pregnancy we tend to eat more than usual to support the growth of our baby as well as to satisfy certain cravings, thanks to the hormones. Some of us may find ourselves stuck with a lot of extra weight when we realize that we’ve lost less than half of the weight gained after delivering our baby. Even though we’re eager to get back in shape, our body may not be ready to do so. 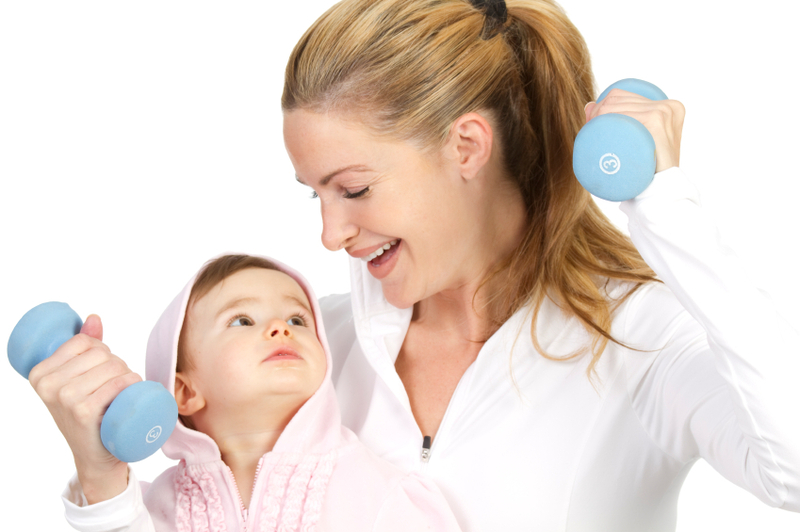 So, when is a good time to start exercising and slimming down after pregnancy? Those who have gone through a vaginal delivery can start as early as 12 weeks post partum. For those who have undergone a C-section, it is recommended to wait till at least 4 months later. If unsure, the best is to check with your doctor to see if you are ready to exercise. Your doctor may access you according to the recovery of your wound, your weight and your targeted weight loss goals. In some cases, they may also recommend a nutritionist to provide better advice. For those who have not bee very active before and during pregnancy, it is always a good idea to start slow and gradually work your way to higher intensity exercises. Start with a walk around your park, increasing it to a brisk walk, and finally to a slow jog. This is a great opportunity to bring your baby along for evening walks! Besides exercising, a healthy diet also contributes to steady post-pregnancy weight loss. Take note that breastfeeding mothers are not encouraged to undergo a diet plan as it can affect the quality of breast milk. Consume the recommended amount of calories to support your daily energy consumption and the production of breast milk. It is also notable that after pregnancy, it may not be realistic to expect ourselves to look the way we were before we got pregnant. It is more important to embrace your new body and feel confident about yourself. Do not rush into losing too much weight so quickly and instead focus on recovering your body from pregnancy! Previous articleDoes Breastfeeding Really Help in Weight Loss? hey dear, you missed out “eat” in the first sentence!